Reinhardt alumni are spread across the country but some remain right here in our back yard. Marjorie Humphrey Hubbard, Salutatorian of the Class of 1937, made her home in Woodstock with her late husband, Glenn, and daughter, Elaine. 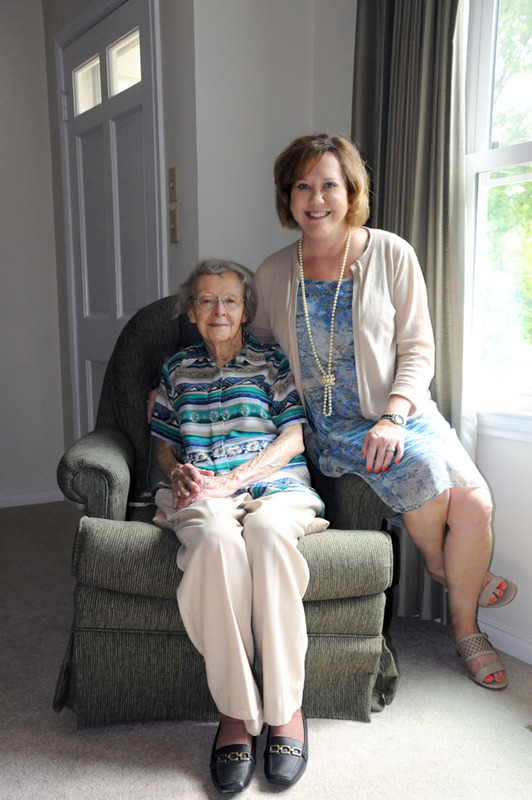 Mrs. Hubbard, Reinhardt’s oldest living alumna, celebrated her 100th birthday July 13. In the 1930s, there were not many job options for women. They could choose one of three things if they wanted to enter the workforce: teacher, nurse or secretary, Mrs. Hubbard recalled. Before receiving her degree from Reinhardt, she embarked on her teaching career instructing a math class for the high school on campus at the request of the Dean. So she taught the high-school level mathematics class when she was still studying in college. Mrs. Hubbard has seen a lot of change in Cherokee County and the Reinhardt campus. She enjoys visiting the campus, where a dormitory is named for her and her late husband. Her daughter, Elaine, brings her to campus every once in a while to drive through and see what is going on. She said she enjoys seeing Reinhardt grow and increase its offerings. “I think it is great because it increases what it offers and gives more options and more people can take advantage of getting an education,” she said. While it has been almost 80 years since Mrs. Hubbard left Reinhardt, she moved just a little bit south where she settled with her family. She originally started her career at Etowah School in the Hightower Church area where she made $60 per month. She later moved to New Bethel School and then Woodstock Elementary School. While both Mr. and Mrs. Hubbard attended Reinhardt (he graduated in 1936), they never really knew each other until the two educators worked together at New Bethel School. They later married in 1940. After the birth of their daughter, Mrs. Hubbard stayed home until Elaine was ready to enter the first grade and they both went back to school at Woodstock Elementary. Mrs. Hubbard stayed there working until her retirement in the mid-1970s. Teaching has changed over the years, and Mrs. Hubbard said it was much more difficult at the time of her retirement than when she started. Paperwork became a big component of the job. As time has gone on and more regulations have been added to the education profession, she advises current teachers and those going into the profession to make sure they are diligent in achieving the goals they want.